Conservation efforts to help the vulnerable zebra breed of Hartmann’s Mountain zebra suffered a blow at the end of 2017 with the death of a mare at the USA’s Smithsonian Conservation Biology Institute. Yvonne, a 15-year-old Hartmann’s mountain zebra mare, was humanely euthanized on December 31. SCBI animal care staff had been treating Yvonne for weight loss, and keepers worked closely with Smithsonian’s National Zoo nutritionists to modify Yvonne’s diet and improve her body condition. She received a veterinary examination on December 30 for signs of weakness observed earlier that day. Later that afternoon, however, she became recumbent and unable to stand. That evening, her condition deteriorated despite supportive care. The next morning staff made the decision to humanely euthanize her due to poor prognosis and quality of life. A final pathology report will provide more information in the coming weeks. The median life expectancy for Hartmann’s Mountain zebra mare is 15 years. Yvonne arrived at SCBI in June 2016 following an Association of Zoos and Aquariums’ Species Survival Plan breeding recommendation. 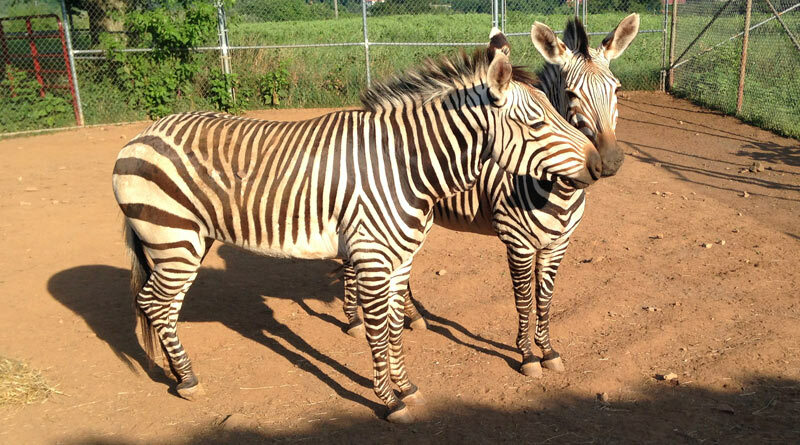 SCBI researchers are studying this species to develop assisted reproduction techniques vital to the zebras’ conservation. Two other Hartmann’s mountain zebras – four-year-old stallion Raylan and five-year-old mare Xolani – continue to thrive at SCBI. Hartmann’s mountain zebras are a subspecies of the mountain zebra, which is one of three zebra species. Considered vulnerable by the International Union for Conservation of Nature, Hartmann’s mountain zebras live in dry mountain habitats of Namibia. Unlike other zebra species, Hartmann’s mountain zebras live in small herds, have vertical stripes on their neck and torso and horizontal stripes on their backside, and have a dewlap, a small fold of skin under their chin. There are conflicting estimates of the numbers of individuals left in the wild, ranging down to as few as 800 Hartmann’s mountain zebras. The biggest threat to their survival is habitat loss and fragmentation as the result of livestock production and agriculture. SCBI plays a leading role in the Smithsonian’s global efforts to save wildlife species from extinction and train future generations of conservationists. SCBI spearheads research programs at its headquarters in Front Royal, Virginia, the Smithsonian’s National Zoo in Washington, D.C., and at field research stations and training sites worldwide. SCBI scientists tackle some of today’s most complex conservation challenges by applying and sharing what they learn about animal behavior and reproduction, ecology, genetics, migration and conservation sustainability.